Dozens of your favorite designers will be sharing their thoughts and projects after reviewing my new book, Craft Your Stash. Visit their blogs and enter for your chance to win a signed copy of my book, plus lots more craft books and supplies to add to your stash...shipping anywhere in the world, baby! 10/6/14 UPDATE: Congrats to Ruth from Colorado who won the prize! The tour runs from Saturday, September 27th through Sunday, October 5th. Follow #craftyourstash on social media. Fall décor designer blog hop with a prize giveaway! I'm very happy to be participating in this fun blog hop all about fall decorating! I recently demo-ed another spin on my favorite ATC wallet - using a sheet of 12x12 black cardstock and some fun duct tape. Last week, my local ATC group met for our monthly swap - our theme was junk mail. We had to use junk mail somewhere in our cards. Everyone was so creative with how they incorporated bits and pieces into their ATCs! My junk mail had been less than inspiring for some reason, so I ended up repurposing some pretty blue and yellow chipboard packaging instead. I had fun with these new lace-up arch chippies too - I dabbed iridescent white paint on them, stamped my favorite fleur-de-lys on top and threaded some hemp cord through the holes. September marks the 4th Annual Craft Book Month at Craft Buds and I'm very happy to be part of the celebration! Home décor challenge with Kunin Felt, Beacon Adhesives and Buttons Galore - giveaway! The Designer Crafts Connection has a new challenge this month! Our generous sponsors are Kunin Felt, Beacon Adhesives and Buttons Galore - and we have a fabulous prize drawing for you! 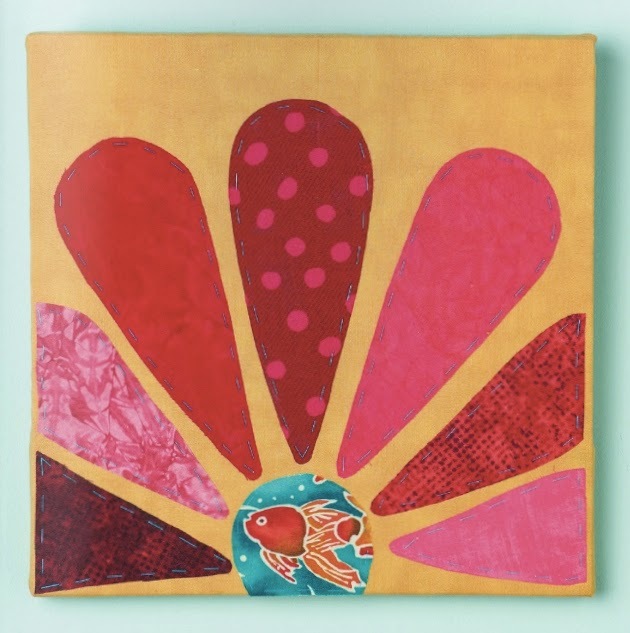 It's the first Monday of the month - time for a new Designer Crafts Connection blog hop! This month our theme is vacation memories. 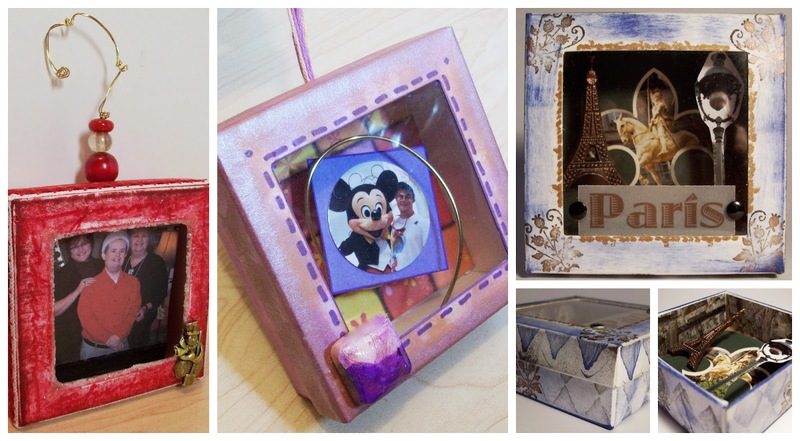 I dug way back in the archives and found these super cute mini shadow boxes I had made for a trip to Paris, Disneyland, and a Christmas family visit.